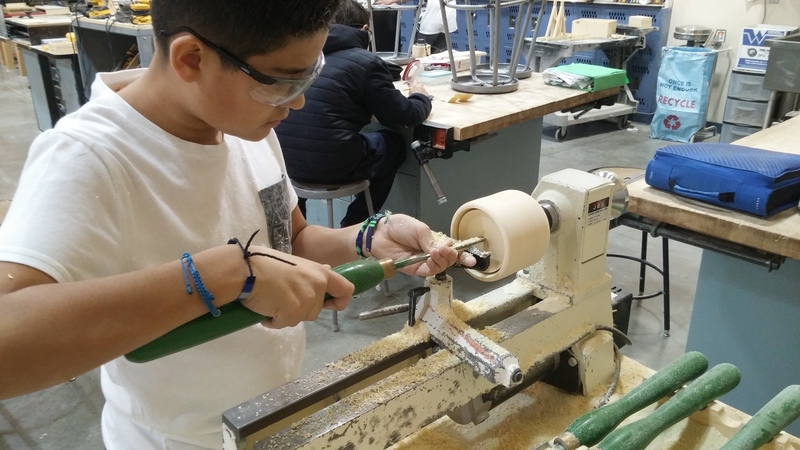 While the Maker Movement has become the newfangled approach for engaging students in hands-on learning, the Eastmont School District has been delivering the same sort of experiences in a systematic way to its students with very little fanfare. In the last few decades, when other districts abandoned their hands-on vocational programs in favor of computer labs, Eastmont decided to buck the trend and maintain these programs that provide kids with wonderful experiences in working with their hands. 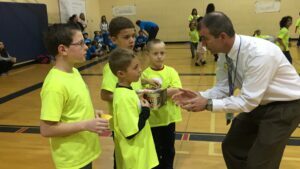 Making things is just part of the experience at Eastmont, notes Superintendent Garn Christensen. “Eastmont grads are not afraid to get their hands dirty,” he said.The approach has been to build relationships between those traditional tools and the modern computer-assisted tools, he added. Seven years ago, the district developed a strategic plan to address the emerging STEM (Science, Technology, Engineering and Math) focuses. That plan includes regular competitive programs that bring hundreds of kids and community members into the schools. The Eastmont STEM events begin with team-oriented challenges such as making towers with straws and masking tape for kids in kindergarten and first grade. 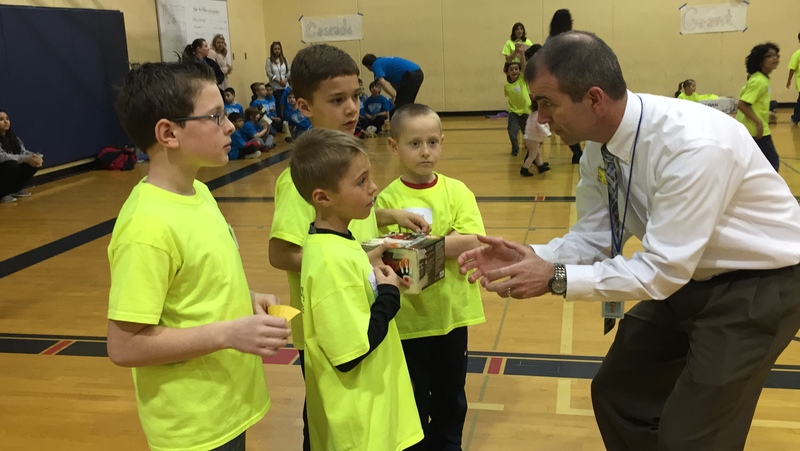 The second graders participate in an egg drop contest, said Christensen. The challenges get progressively more difficult every year. This systematic approach means that kids get to work together and problem solve in a fun, competitive environment. It’s part of the Eastmont School District DNA, Christensen said. The district has also made it a practice of paying close attention to local business executives as a way of making sure that they are preparing students effectively for the real world. They have discovered is that local businesses are looking for workers with both hands on and computer skills to respond to the way technology is changing the nature of work. And so the district sees rich opportunities to grow the capabilities of students in emerging fields of underwater robotics that may assist local public utility districts and irrigation companies in effectively managing infrastructure, for example. Similarly, the field of agricultural technology is exploding and is creating new opportunities for jobs. University degrees are no longer the guarantee of financial success because the world and the economy have changed dramatically. A Harvard University study suggests that only 33 percent of jobs will require college degrees, while 57 percent will require skilled training. That’s why the career and technical education at Eastmont is a high priority. 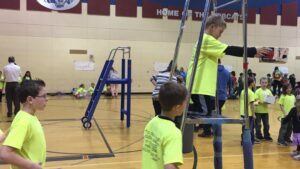 Eastmont has also taken steps to upgrade its art program in the elementary schools in the past year. “Aesthetics and function are just as important as materials and engineering,” said Christensen. Art fosters the creativity that can be applied to solving real-world challenges in unique ways. The number one priority of the school district, Christensen said, remains to improve graduation rates. In every performance evaluation discussion, employees and executives are asked what they are doing to improve those rates, from the bus driver to the high school principal. This is an acknowledgement that relationships are crucial to helping kids succeed and those don’t have to be limited to teachers in the classroom. I like the systematic, practical approach that Eastmont is taking to education. The district operates under the radar screen and they don’t toot their own horns, but they are building a successful program.